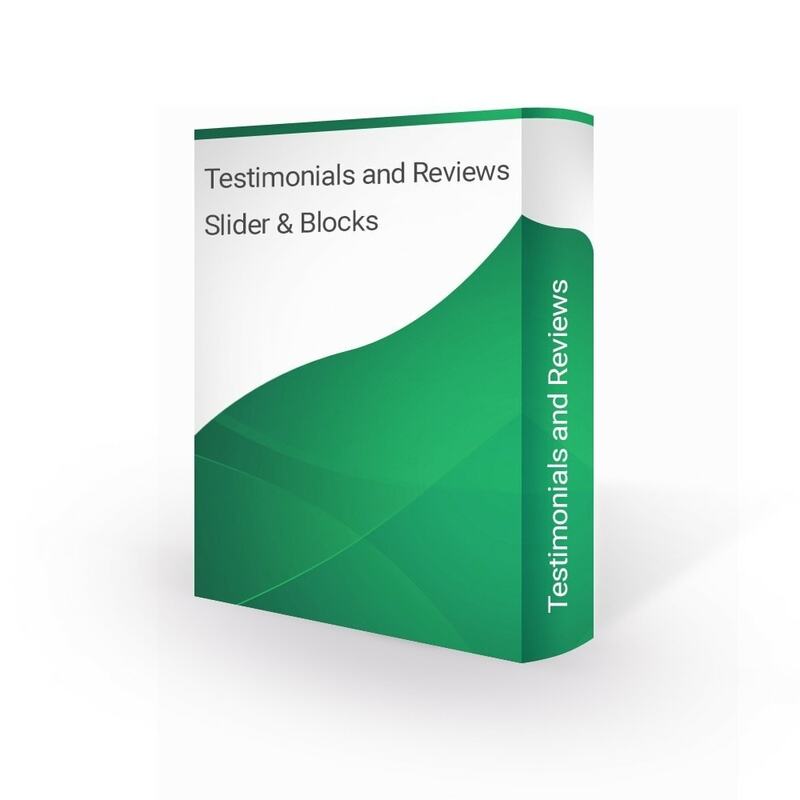 Testimonials and Reviews is module which help you to display all testimonials on slider. It is very flexible and easy to install and integrate into your shop. By install and use our testimonial module. It will help you easy display testimonials on your website and allow your customers post their review. It support to flexible display customer's testimonials on any page with static block. 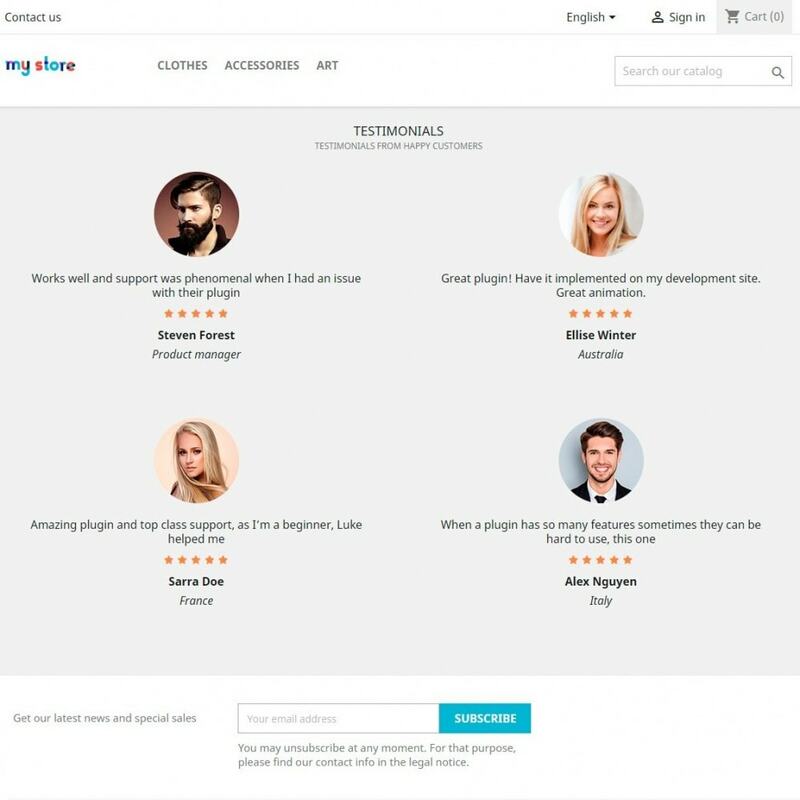 With this plugin it’s possible to create/collect/manage and show testimonials of your clients and users. 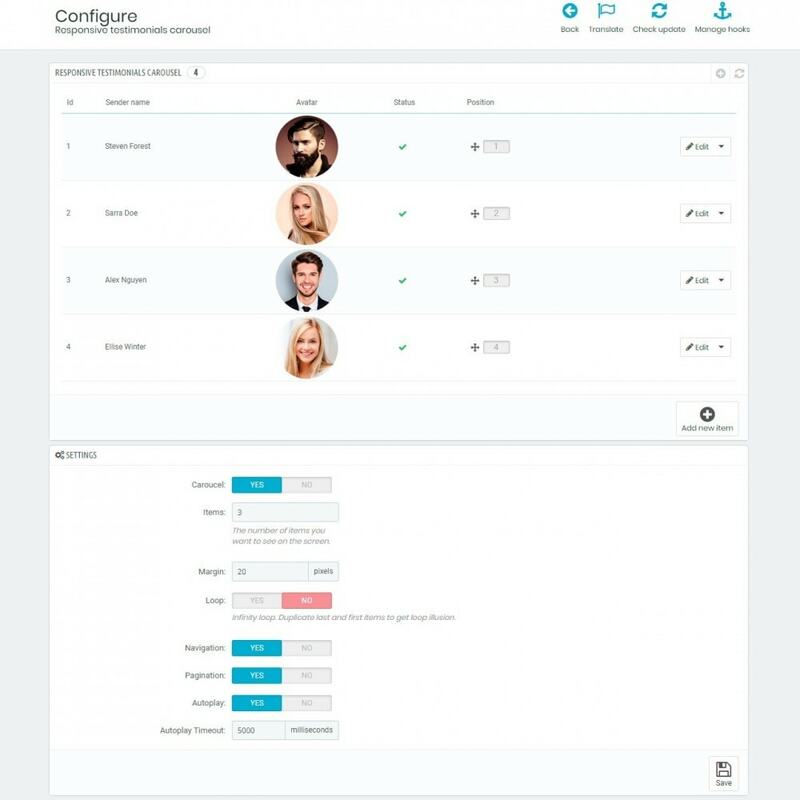 Control what information you want to show in testimonials block. 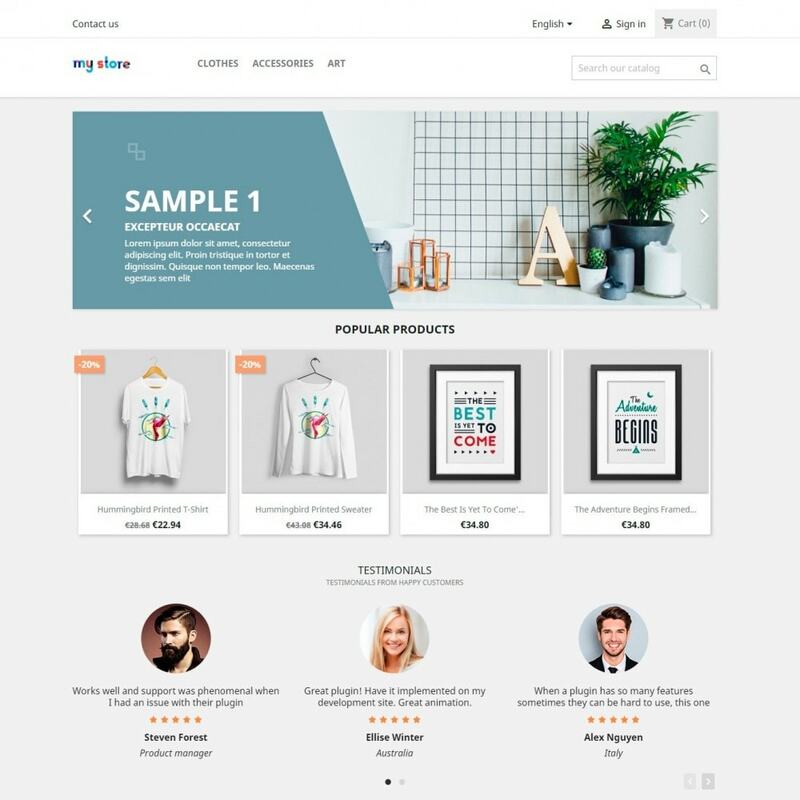 Display home, cms or product page. Adding testimonial by admin panel. Show testimonials as list or slideshow. Il modulo responsive mega menu Prestashop più avanzato. Il builder Drag&Drop permette di creare facilmente una navigazione orizzontale e/o verticale. Inoltre, esiste un menu separato per i dispositivi mobili. The use of square images will be clearly explained to obtain a circle beside an oval... if the fonts family, size, etc will be controlled could be a great plus!!! 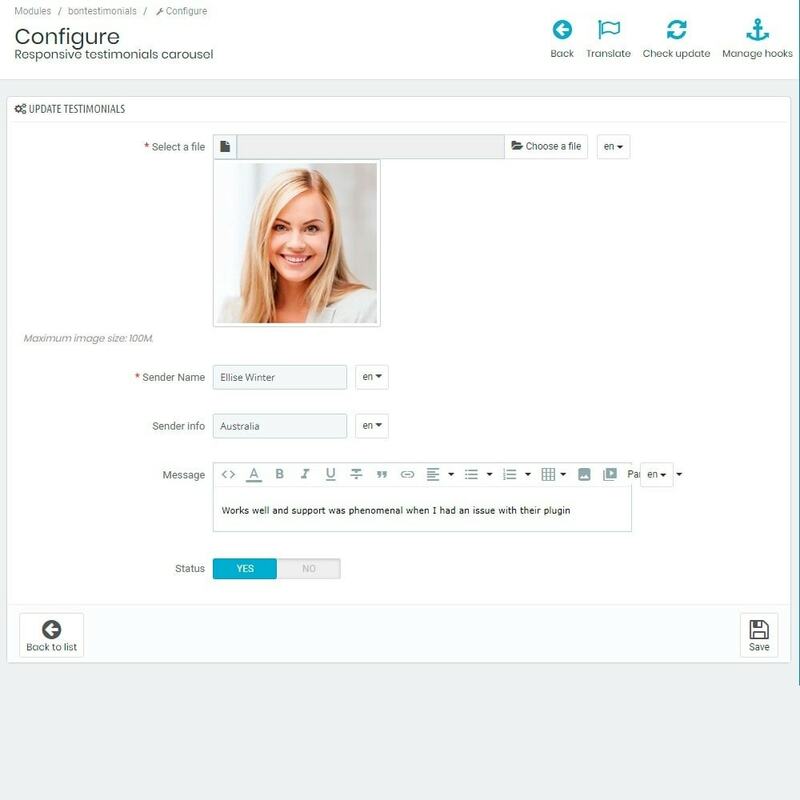 This easy at installation and flexible at configuration module allows you to create attractive Testimonials and Reviews Slider & Blocks in a couple of minutes!